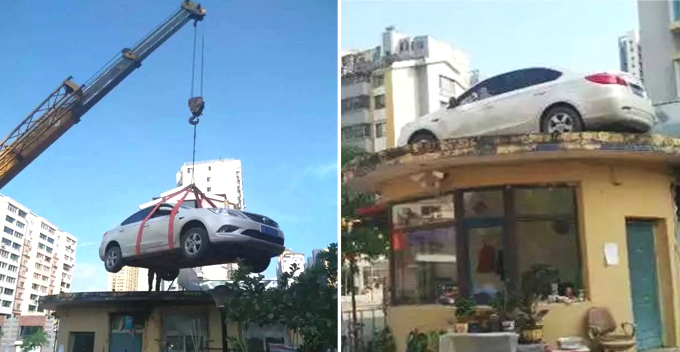 Parking spots can be hard to come by in a bustling city, which is why some of us choose to park illegally and risk getting our vehicles clamped. 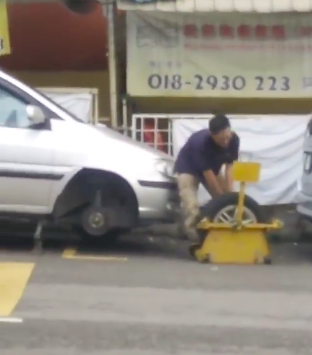 That was exactly what happened to this guy in Cheras, but the way he resolved the situation was ingenious. 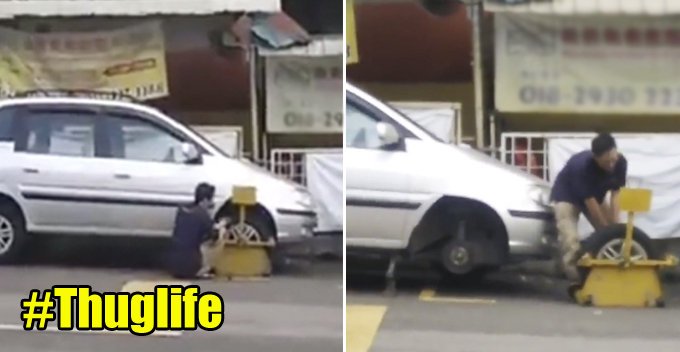 Just yesterday, a netizen uploaded two short videos on Facebook which went incredibly viral. 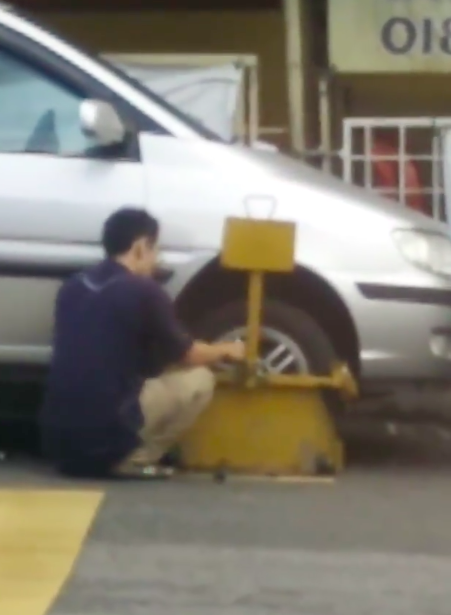 Based on the first video, it appears that a guy’s Hyundai Matrix was clamped on the front right wheel, and he was working hard to loosen the nuts on the wheels. Instead of paying for the fine and having the clamp removed by an authorised personnel, the man actually attempted to remove it by himself. After some time, the wheel was released from the car, together with the clamp. It was unclear how he did that or whether he used any tools, but he made it. Cars passing by were seen slowing down to look at the man because honestly, this is not something we Malaysians see every day. Netizens were absolutely mind-blown by the man’s creativity and bravery. “We’re all living in 2017, but this guy is already living in 3017,” a netizen said. “I could’ve saved myself RM100 the other day if I had done the same thing,” another Facebook user said. Just to be clear, we’re not condoning nor encouraging such action because clearly the man has broken the law. However, looking at how these videos have been shared over 17,000 times in just a day, let’s hope he won’t get himself into any trouble!